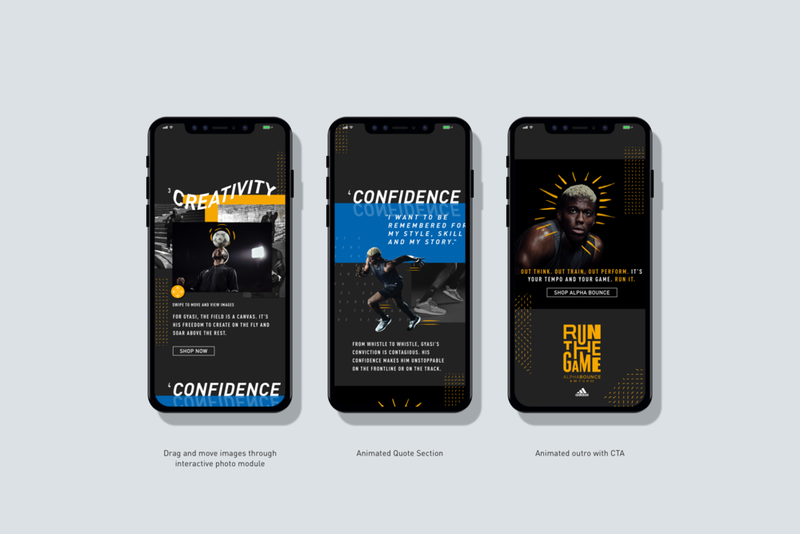 I worked on a site campaign for the Alpha Bounce launch on adidas.com. As the Art Director on this project, my role included concept development, design direction, visual design and UX design. 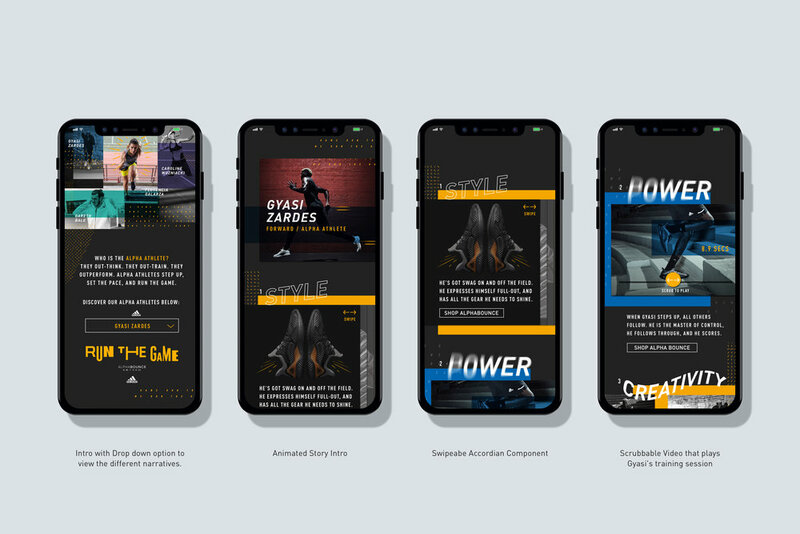 In creating this site, I focused on what tools an alpha athlete would need for high level performance. The design approach utilized engaging typography, bold graphics and immersive interactions to tell this story.